When you think of an endodontist, you might just think about root canals. 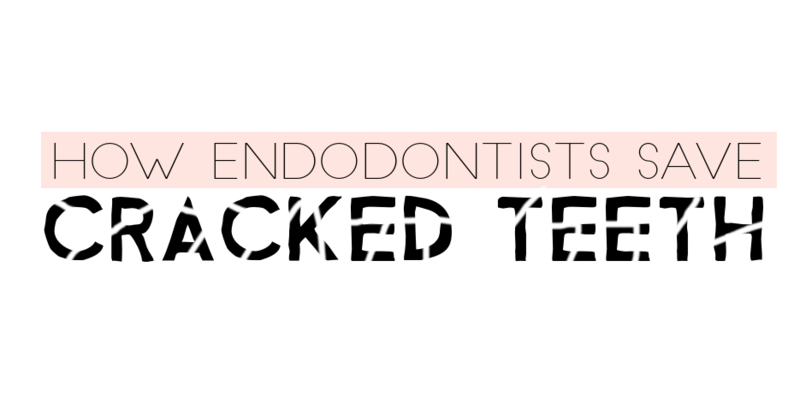 While endodontists are specialists in root canal therapy, they can also help treat cracked or chipped teeth. Our teeth are meant to last a lifetime, however, over time day-to-day activities such as eating and drinking wear away our enamel. This can lead to cracks or chips in our teeth. A crack in a tooth can cause pain when biting or chewing, as well as sensitivity to hot and cold. Sometimes, however, there are no symptoms at all for a cracked tooth. Having a cracked tooth can lead to further oral health issues. A crack can cause inflammation that will eventually spread to the inside of the tooth, into the area of the tooth that is called pulp. Spreading this pain to the pulp can lead to infection. An endodontist can treat cracks, by using a root canal treatment to protect the pulp and the tooth. After your cracked tooth has been fixed, you will need to consult your dentist to get a crown. There are many different types of cracked teeth. Whether you are suffering from a fractured cusp, a split tooth, or a vertical root fracture, an endodontist can help. Talk to your endodontist to find out which treatment is best for your tooth. If you have a cracked tooth or think that you may have a cracked tooth. Visit an endodontist to alleviate your pain and to get treatment.